Koala Research – CQ, formally the Koala Research Centre of Central Queensland, is a community funded research program hosted by CQUniversity. The project receives support and/or funding from a variety of stakeholders, research partners, community partners and individuals. The research group has been operating since 1994. It was established to support on-going research and to initiate new projects on koala biology, habitat requirements and the effect on koala populations of rural, urban and industrial developments in Central Queensland. 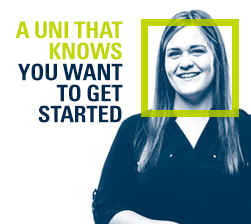 Day to day management is provided by CQUniversity through the School of Health, Medical and Applied Sciences. 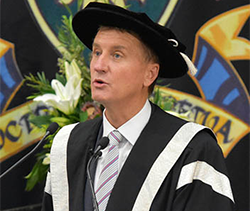 CQUniversity provides financial oversight. Ethical oversight is provided by CQUniversity's Animal Ethics Committee. Dr Alistair Melzer is the Research Program Leader. Find out more about our research sites. Ecosystem change under pressure from climate change on Australia’s continental islands. Dr Melzer has provided impartial, expert advice to community, industry, state (New South Wales, South Australia and Queensland) and federal agencies and local governments on a variety of environmental issues associated with conservation biology, biodiversity management, and environmental risks. He has been formally and informally involved in the recovery planning processes for the bridled nailtail wallaby, northern hairy-nosed wombat, and the yellow chat, as well as conservation planning for the koala and some ecosystems. Most recently, Dr Melzer was appointed to the Queensland Government’s expert panel to provide advice on ways to better protect koalas and provides advice to the New South Wales Natural Resource Commission on koala research strategy. Dr Melzer is an Adjunct Research Fellow at CQUniversity (formerly Director of the Centre for Environmental Management, CQUniversity, Gladstone). He has authored or co-authored over 50 scientific publications and more than 60 technical reports. He also continues to run koala research projects through CQUniversity. how long-term changes to structural diversity of partially cleared land, specifically the removal of middle storey vegetation, impacts on the nutrients of Eucalyptus's foliage. educating communities on sustainability, as a way forward to improving the health of ecosystems using the Koala as a flagship species. Schlagloth, R., Santamaria, F., Golding, B. & Thomson, H.(2018). Why is it Important to use flagship species in community education? The Koala as a case study. Animal Studies Journal , 7(1): 127-148. Santamaria, F. , & Schlagloth, R. (2016). The effect of Chlamydia on translocatedChlamydia -naïve koalas: a case study. Australian Zoologist , 38(2), 192-202. Frederick, B., Lamey, T., Mikecz, M. & Santamaria, F. (2015). 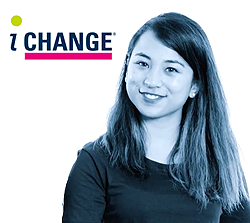 Enabling people to ‘see what they can be’ The community aspiration program (CAP ED). Learning Communities:International Journal of Learning in Social Contexts , 17, October 2015, pp. 54–63. Santamaria, F., Keatley M.R. & Schlagloth, R . (2005). Does size matter? Tree use by translocated koalas. The Victorian Naturalist 122: 4–13. Vitale, A., Santamaria, F. & Queyras, A.(1995). Response to a novel object by socially housed common marmosets (Callithrix jaccus): a preliminary study . In: Handbook of Marmosets and Tamarins in Fundamental and Applied Research ed. Scott et al. CBDE Media Services, Salisbury, England. Vitale, A. & Santamaria, F. (1994). Are two monkeys better than one? The behaviour of socially housed marmosets in an unfamiliar environment. Boll. Zoo. Suppl . : 49. Volterra, L. & Santamaria, F. (1993). Nematodes in fresh waters. Particularly regarding to potable waters. Ingegneria Ambientale 22: 3–4. Schlagloth, R., Santamaria, F ., Melzer, A. & Houston, W. (in progress). Analysis of historical wildlife carer data from Ballarat - the significance of animal vehicle collisions (AVCs) for a regional koala population. Australian Zoologist . Keatley, M.R., Santamaria, F. & Wilson, K. (2004). RTC5011A Collect and Classify Plants . Flexible Learning Technology Centre, Institute of Land and Food Resources, University of Melbourne: Terang. Dr Rolf Schlagloth has been working on many aspects of the Koala in different capacities, in Victoria and Queensland since 1992. 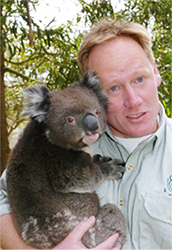 He has worked with universities, industry, government and community to investigate issues associated with koala history, ecology and management. Koala conservation biology (e.g. research on Koala diet and movement in a roadkill blackspot). He has provided impartial, expert advice to community, industry, state and federal agencies (e.g. 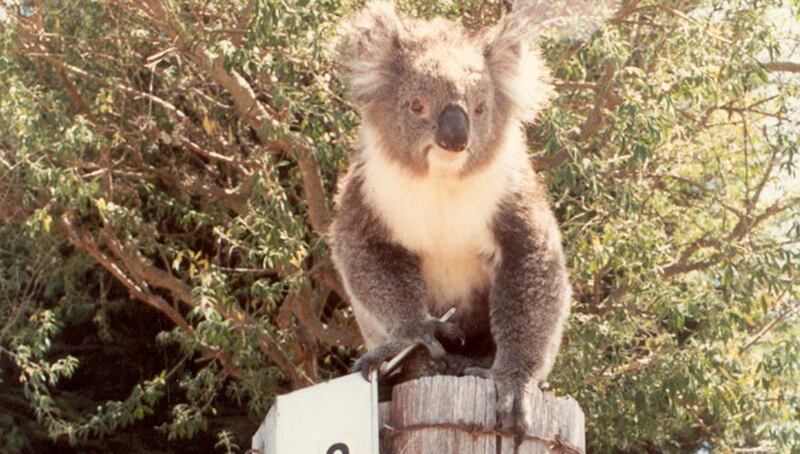 National Koala Strategy, Eton Range Realignment Project – Dep. TMR) and local governments (e. g. Ballarat, Golden Plains, Moorabool, Macedon, Central Goldfields) on a variety of issues associated with koala conservation. Rolf is also very interested in exploring historical aspects of the flagship species koala including the relationships that existed between it and Indigenous Australians. Schlagloth, R., Santamaria, F.; Golding, B. and Thomson, H. (2018). "Why is it important to use flagship species in community education? The Koala as a case study," Animal Studies Journal. 7(1), 127-148. Santamaria, F., and Schlagloth, R. (2016). The effect of Chlamydia on translocated Chlamydia-naïve koalas: a case study. Australian Zoologist, 38(2), 192-202. Santamaria, F.; Keateley, M. and Schlagloth, R. (2005). Does size matter? (Tree use by translocated koalas). The Victorian Naturalist. Vol. 122 (1). Cahir, F., Schlagloth, R. and Clark, I. (in progress). An exploration of the Historic Importance of the Koala in Aboriginal Society in New South Wales (Australia): A Reconsideration of the Archival Record Koala in literature. ab-Original. Schlagloth, R., Santamaria, F., Melzer, A. & Houston, W. (in progress). Analysis of historical wildlife carer data from Ballarat - the significance of animal vehicle collisions (AVCs) for a regional koala population. Australian Zoologist. Schlagloth, R. and Golding, B. (in progress). Using the Koala as a community education flagship species: An exploration of the purposes and outcomes of a community programme in Ballarat, Australia. Australian Journal of Adult Learning. Schlagloth, R. (2018).Managing Central Queensland’s Clarke Connors Range koala population. Predicting future koala-road kill hotspots. Koala Research Project – Eton Range Realignment. Koala Research – CQ, Central Queensland University. Schlagloth, R., Mitchell, D. and Rhodes, J. (2008). Use of Blue Gum Plantations by Koalas. A report to stakeholders in the plantation industry. Schlagloth, R., Thomson, H. and Mitchell, (2006). Comprehensive Koala Plan of Management for Ballarat City Council (Part 1- The Plan, part 2 – resource document). Schlagloth, R., Callaghan, J., Thomson, H. and Mitchell, (2006). Draft Comprehensive Koala Plan of Management for Ballarat City Council (Part 1- The Plan, part 2 – resource document). Schlagloth, R. and Santamaria, F. (2001). Koala Survey for Ballarat. Report on an extensive survey of ratepayers’ attitude to, and experiences with, koala conservation. City of Ballarat. Prevett, P. T., Pope, R., Smithyman, S., & Schlagloth, R. (1995). Interaction between Koalas and Roads on the Midland Highway and Western Freeway in Victoria. University of Ballarat. Schlagloth, R. (2017) poster presentation. Analysis of historical wildlife carer data from Ballarat - the significance of animal vehicle collisions (AVCs) for a regional koala population. Koala Preservation Society Australia - 2nd National Koala Conference Port Macquarie. Santamaria, F., Schlagloth, R., Denier, J., Andre, J. & Melzer, A. (2016) poster presentation. Importance of regional grazing lands for Koala conservation. RUN Regional Futures Conference CQUniversity, Rockhampton. Schlagloth, R. & Cahir, F. (2016). How an old myth on the relationship between Aborigines and the Koala might have become scientific fact. Presented at the Australian Historical Association Conference: From Boom to Bust, Ballarat, Victoria. Schlagloth, R. (2013). ‘Koalas and roads: a case study in Ballarat, Victoria’ in Flint, N. and Melzer, A. (eds), Conserving Central Queensland’s koalas. Pp. 101-105, Koala Research Centre of Central Queensland, CQUniversity Australia, Rockhampton, Queensland. Schlagloth, R. (2004). Managing koalas on and off Kangaroo Island: towards a proactive, adaptive and multidisciplinary approach. Australasian Wildlife Management Society Symposium Kangaroo Island. Santamaria, F. and Schlagloth, R. (2001). Survival of island translocated koalas and the impact of Chlamydia. Pp. 181-6 in: Veterinary Conservation Biology: Wildlife Health and Management in Australasia. ed. by A. Martin and L. Vogelnest “Proceedings of International Joint Conference”. Taronga Zoo, Sydney. Schlagloth, R. (2001). How does GIS mapping help the Koala and the City of Ballarat? Newtech Conference for Regional People. Land Victoria. Deakin University Geelong. Schlagloth, R. (2001). The Koala Conservation Project in Ballarat. 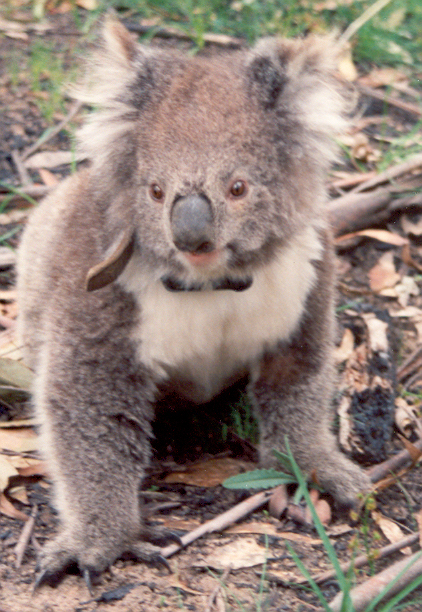 Proceedings of a Conference on the Status of the Koala in 2001. Canberra, ACT. AKF, Brisbane. Location: St Bees Island, Brampton Island, Rabbit and Newry islands. The study area is primarily focused on St Bees (20 o 55' 14.12", 149 o 26' 32.50") and Brampton (20 o 48" 34.73", 149 o 16' 27.64") Islands in the South Cumberland Islands and Brampton Islands national parks north-east of Mackay in Central Queensland. Secondary study areas have been established on the nearby Rabbit and Newry Islands (20 o 51' 24.20", 148 o 54' 57.80") north of Mackay and in the Newry Island National Park. Summary: This long term study commenced in 1998. It is a multidisciplinary research program involving community, universities, state government agencies and international interests. Areas of research interest include structure and dynamics of koala habitat; koala ranging behaviour, habitat utilisation and diet; demography, population dynamics and social interaction; genetics and disease profiles. Location: Hills and ranges associated with the Clarke-Connors Ranges from around Collinsville south to Marlborough. Summary: This is a long-term study. The research program commenced in 2016 with funding from the Qld Department of Transport and Main Roads. This multidisciplinary program involves local landholders, CQUniversity, University of Queensland and local community groups. Areas of research include the ecology of the koala, population and habitat dynamics as well as broad-scale remote sensing of koala habitat landscapes. Location: Rockhampton and Livingstone Local Government Areas. Summary: This project explores the potential to recover koala populations in relic koala habitat in eastern Central Queensland. Initially the project will test the feasibility of direct reintroduction of koalas, and develop the methodology for the acclimatisation, release and monitoring of the koalas. The project will also explore the needs of rural landholders to accommodate koalas into property planning. Location: All Councils Local Government Areas within Central Queensland with koala habitat. Summary: The relic koala habitat within Central Highlands, Rockhampton, Livingstone and Isaac Local Government Areas has been mapped. Also, the lands with potential for recovery as koala habitat have been mapped. This project will develop conceptual plans for the realistic conservation of koalas and koala habitat in these Central Queensland local government areas. Location: Great Otway National Park, Victoria, and adjacent private lands. The study was centred on private and public lands around Bimbi Caravan park (38 o 49' 59.44", 143 o 30' 42.57"). Summary: This was a study led by Dr Desley Whisson, Deakin University. Here the fate of an overabundant koala population and the associated habitat were followed over time. Areas of research interest include: structure and dynamics of koala habitat; koala ranging behaviour, habitat utilisation; demography, population dynamics and social interactions. Location: Midland Highway, between the City of Ballarat (37 o 33' 35", 143 o 51' 21”) and the township of Meredith (37 o 50' 29”, 144 o 04' 39" on the way to Geelong), Victoria. 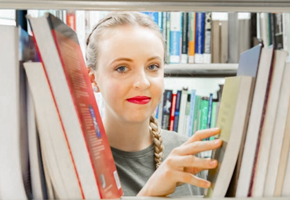 The study area was focused on two sections, the 48 km stretch of highway between Ballarat and Meredith and a 2 km stretch of the same road just before Meredith. The study site included 5 km on both sides of the highway. Summary: This study analysed data collected from local wildlife carers on sick and injured koalas to determine the significance to the local koala population of collision with vehicles. It further looked at koala road kills along the highway, attempts to identify koala road kill black-spots and ultimately aimed at developing a model to determine the parameters that are most significant in the formation of these black-spots. A koala population at one black-spot was radio-tracked for 6 months; here koala ranging behaviour, habitat utilisation and diet, as well as koala interactions with the road corridor, were investigated. Xstrata Coal has provided significant funding support. Central Queensland Koala Volunteers has provided ongoing financial and logistic support.